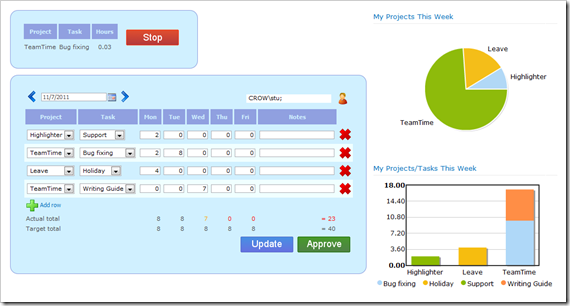 SharePoint TeamTime: It’s Time for Beta! We have started beta testing our newest product SharePoint TeamTime and we expect it to be finished in the next couple of weeks! Sign me up! Wait… what is it again? 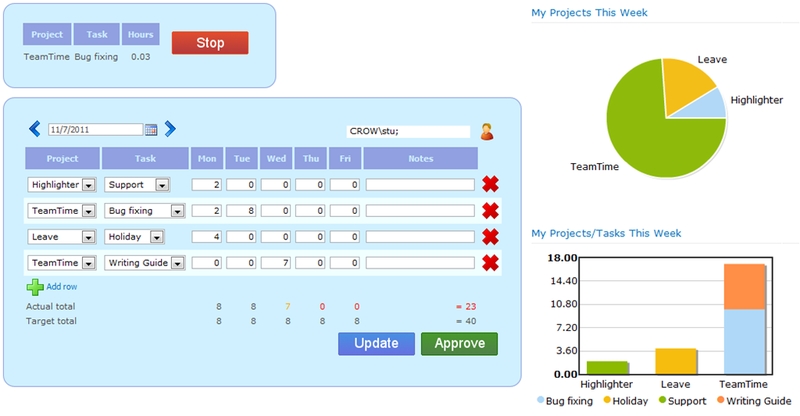 TeamTime is a time tracking site template for SharePoint. 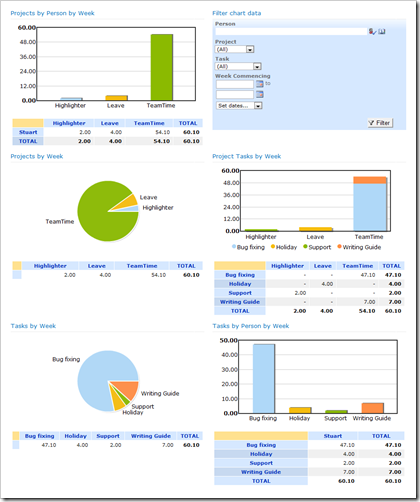 Users track their time by entering it into a timesheet (a.k.a. timecard) or by punching in and out of tasks. 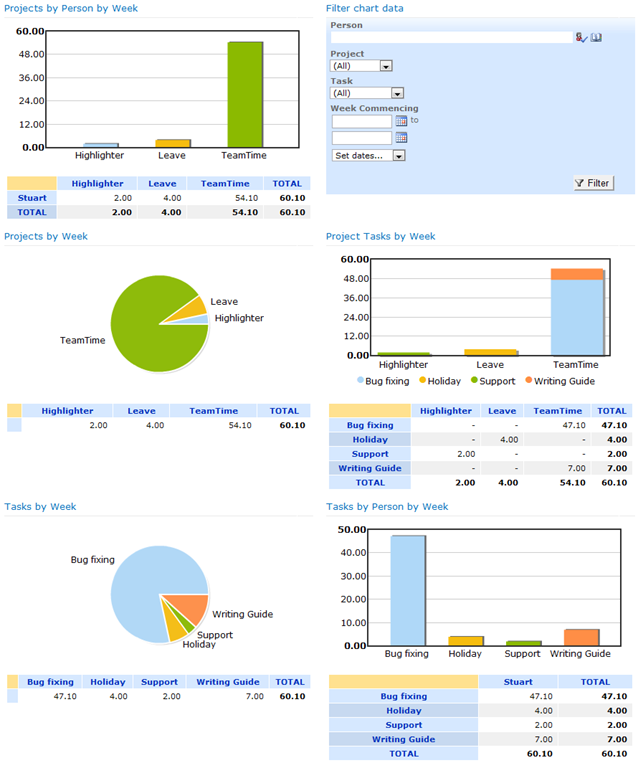 You can then get an overview of everyone’s time logged using our custom reporting tool and embedded versions of PivotPoint and FilterPoint that come preconfigured in the site. To look in more detail at how it works (or just to see more pictures), you can have a glance at our manual: SharePoint TeamTime manual. If you want to be notified when its released then signup here. Whats a Beta test and can I help? Its the final stage in testing a software product before its released into the real world. All the major bugs should have been squashed but there may be some minor problems left. The idea is to get broad feedback from ‘real’ users that will help pick up problems, omissions or things that are just a little confusing that you wouldn’t find otherwise. You need to be reasonably proficient with SharePoint. You should have a “non-production” environment to test in. You will need to have some time free to give it a good test and provide feedback.